You can really, really never go wrong with a smores brownie. If you hadn’t noticed, I have a bit of an obsession with smores. 1. Prepare brownies according to box (using the 9×13 pan) and bake until done. 3. 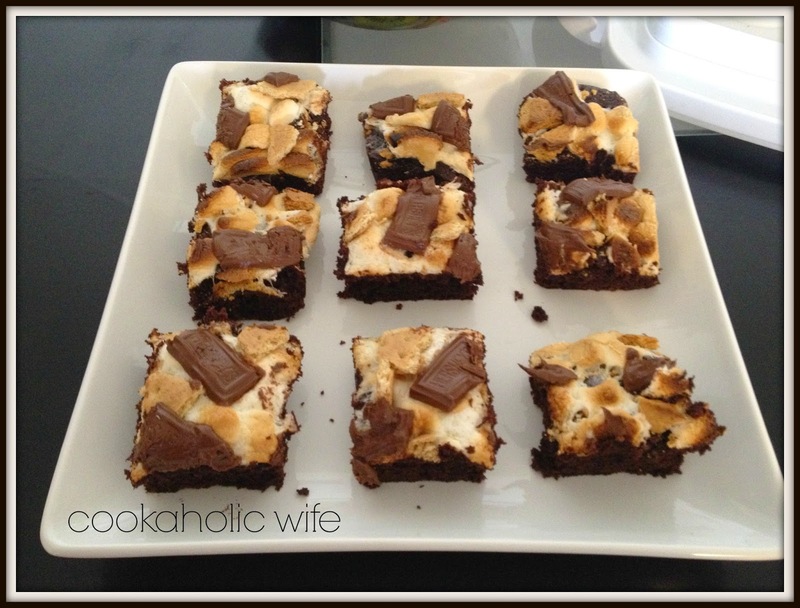 Spread mini marshmallows on top of the baked brownies. Sprinkle crushed graham crackers on top and then decorate with the chocolate pieces. 4. Place under the broiler for 1-2 minutes or until marshmallows are just golden brown. (You’ll need to watch this as they go from browned to burnt in a matter of seconds). 5. Let brownies cool completely before cutting into squares. It doesn’t get much easier than that, does it? For such a simple recipe, everyone loves it and it doesn’t take much time to make at all!